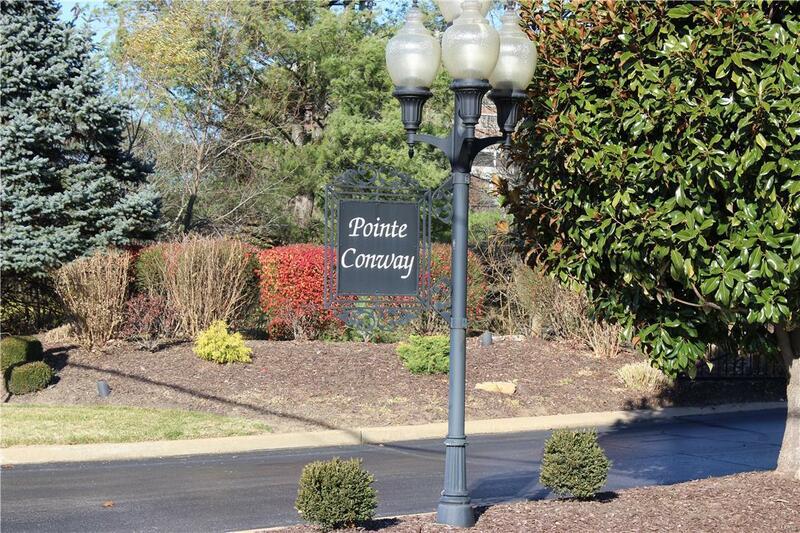 RARE OPPORTUNITY TO BUILD IN AN ESTABLISHED, GATED NEIGHBORHOOD! 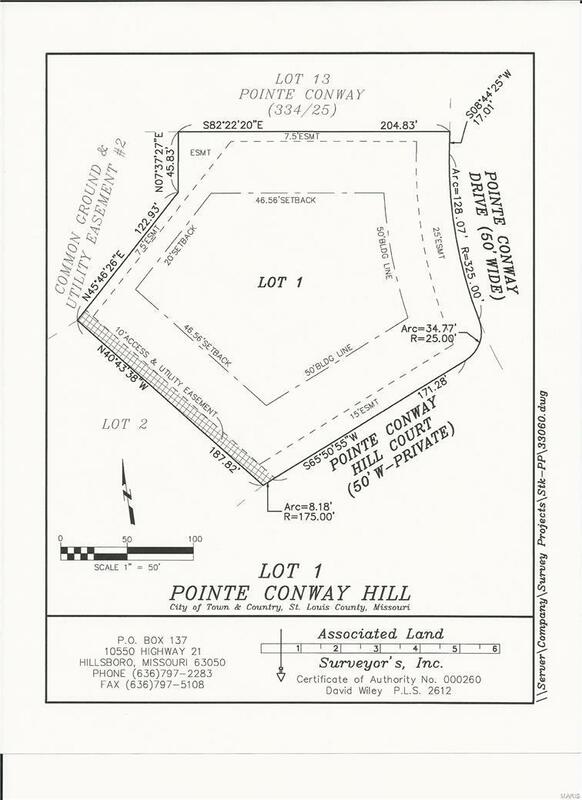 LOT 1 OF POINTE CONWAY HILL COURT, A PRIVATE ENCLAVE OF 6 CUSTOM HOMESITES LOCATED ADJACENT TO PRESTIGIOUS POINTE CONWAY SUBDIVISION, WHERE MOST RECENT RE-SALE WAS $2.3 MILLION IN JUNE 2015. 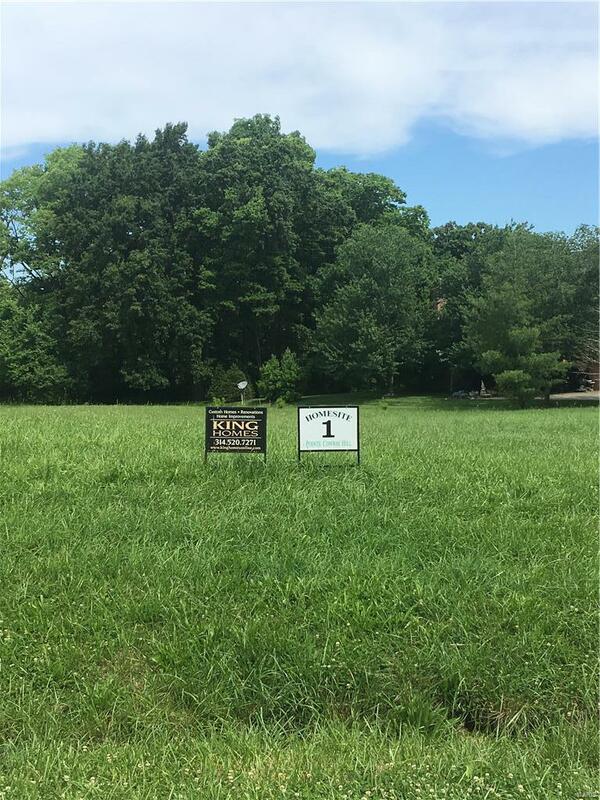 THIS CORNER LOT IS A FULL 1.25 ACRES, WILL ACCOMMODATE A WALK-OUT BASEMENT, AND HAS A LARGE BUILDABLE AREA WITH AMPLE BACKYARD ROOM FOR AN OUTDOOR LIVING AREA, SWIMMING POOL AND MORE. CONSTRUCTION OF SIX NEW CUSTOM HOMES WILL BEGIN SUMMER 2019. 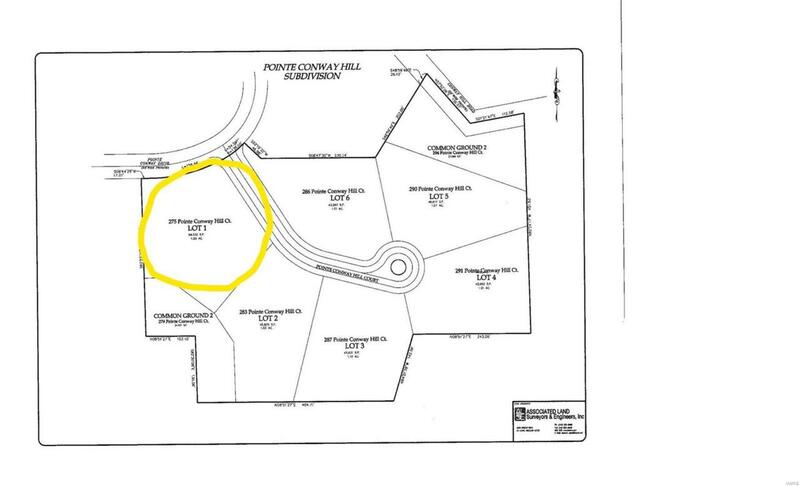 FOR BUILDERS, THIS LOT COULD BE PURCHASED AS A PACKAGE ALONG WITH LOT 4 AND/OR LOT 2, WHICH IS CURRENTLY OFF THE MARKET. Listing provided courtesy of Daniel King Real Estate. Listing information © 2019 Mid America Regional Information Systems, Inc.